This project treats runoff flowing into Battle Creek Lake. The Apostolic Bible Institute (ABS) Pond project removes nutrients and sediments from stormwater runoff originating in a large residential area of Oakdale. 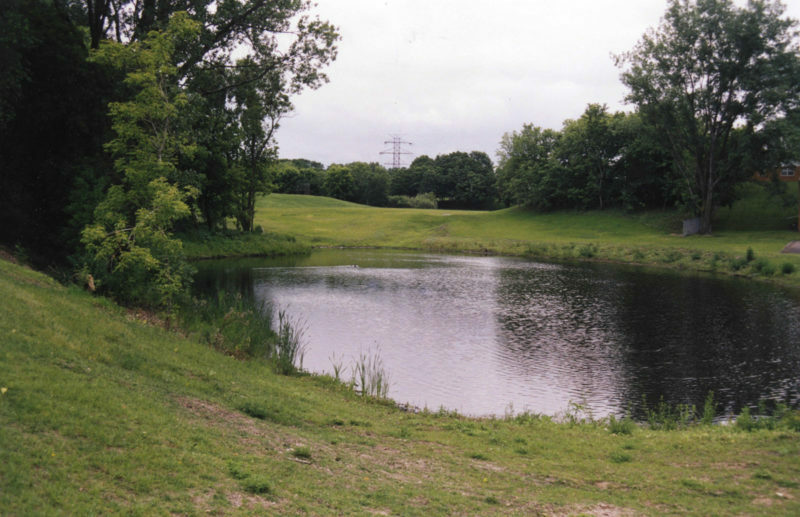 Before this project was built, all flows were routed through an eroded open ditch en route to Battle Creek Lake. Storm sewer piping and a large diversion structure were installed to divert low flows into the stormwater treatment pond, while allowing high flows to bypass the pond.